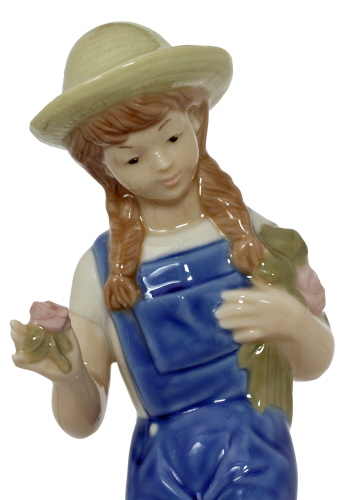 This little farm girl appears to be taking some time off of her farm chores by sitting on some rocks – perhaps by a stream as she hold flowers clutched in her arm – her hand on her heart, and a flower in her hand. 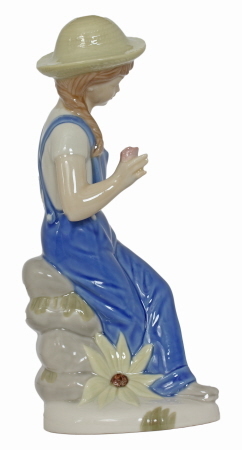 Could she be deep in thought of daydreaming about a lost love? 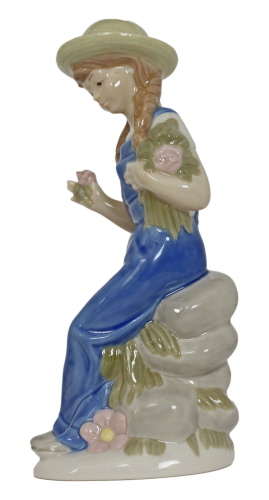 This fine porcelain figurine is about 8 ½” tall - hand painted in delicate pastel colors and signed by the artist. Farmer Girl and Farmer's Wife would go well with this item, making a complete set..